Malacca has always been my favourite short getaway from Singapore for its delicious food, historical landmarks and the bustling Jonker Street. 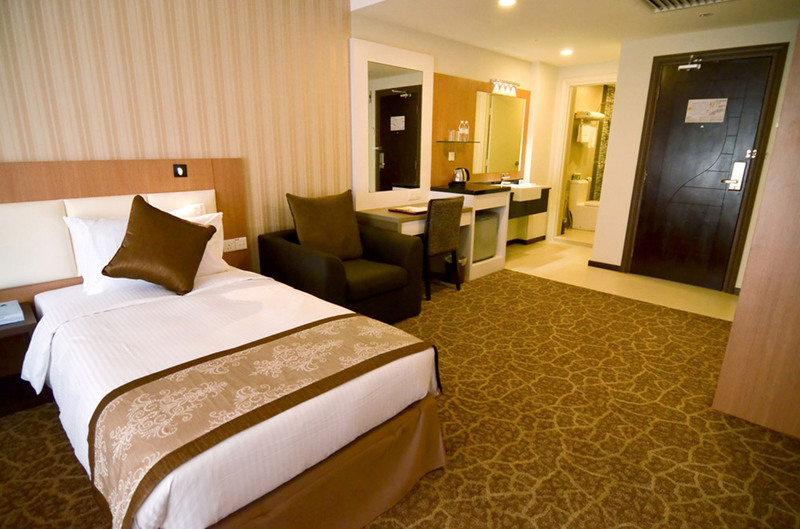 However, a trip to Malacca won’t be perfect without a clean, cosy and conveniently located hotel. 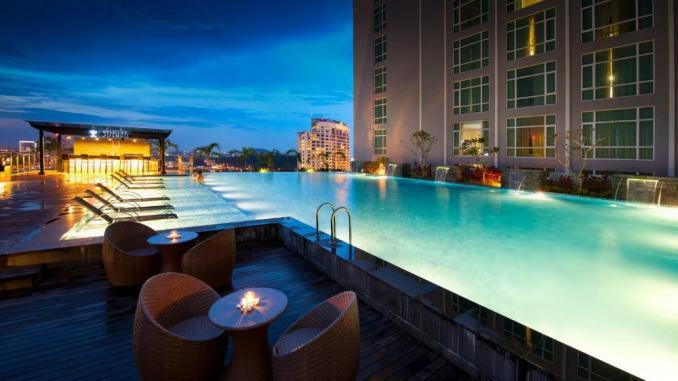 If you care about your hotel experience as much as I do, and are trying to find the hotel in Malacca that best fits your needs, check out this list of six hotels. My favourite hotel experience in Malacca so far was in The Pines Melaka. 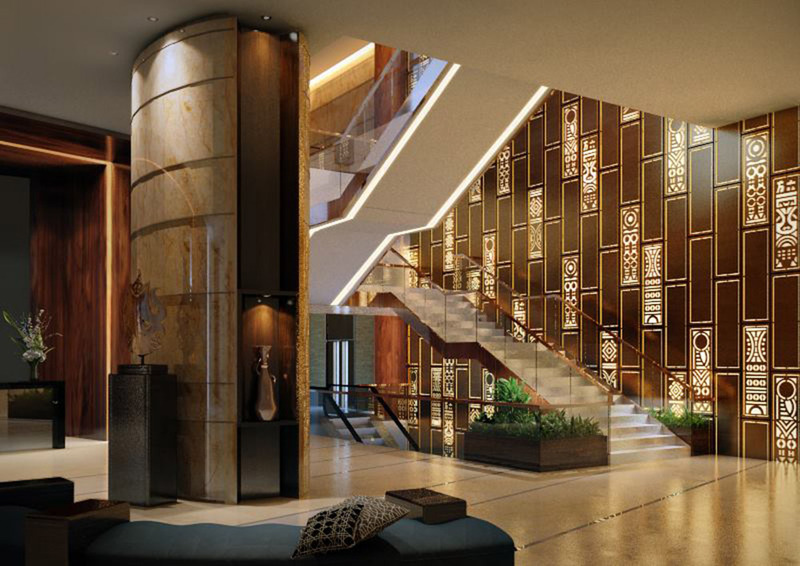 Its spacious rooms and apartment-like interior design truly made me feel at home. It is also strategically located—barely a seven-minute drive to Jonker Street, which would cost you around RM5 (S$1.66) to get there by Grab. 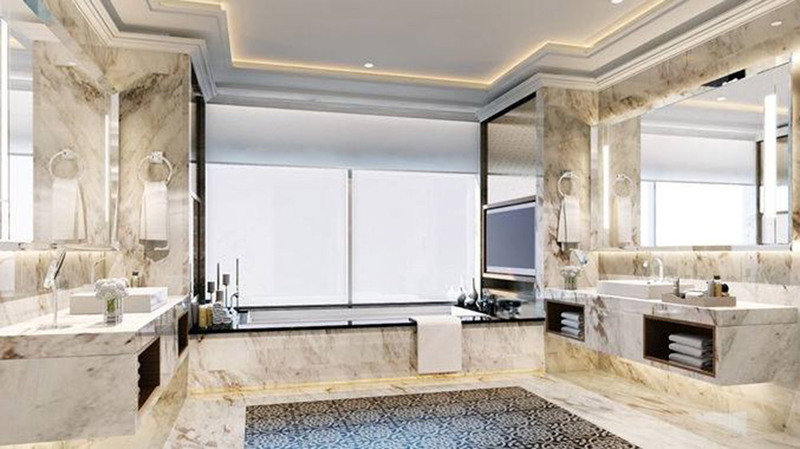 Its 91 square metre Executive Suite resembles a two-room condominium with two bathrooms and balconies. 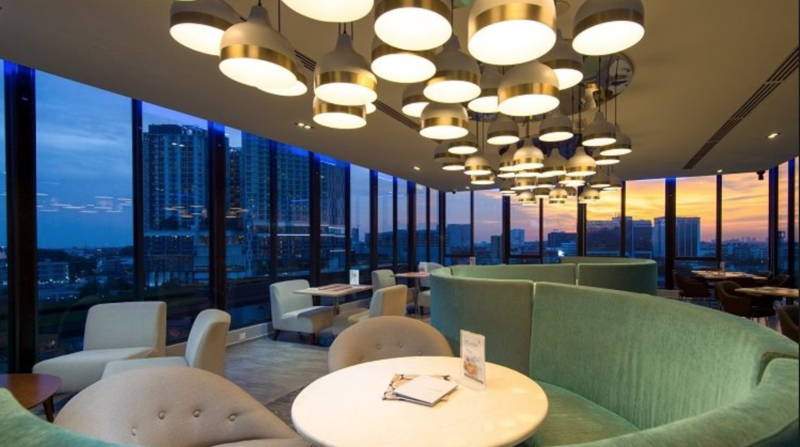 Sometimes, they also offer complimentary high-tea, which you can enjoy inside their lounge while gazing at the Malacca River. In addition, all their rooms come with free breakfast for two. 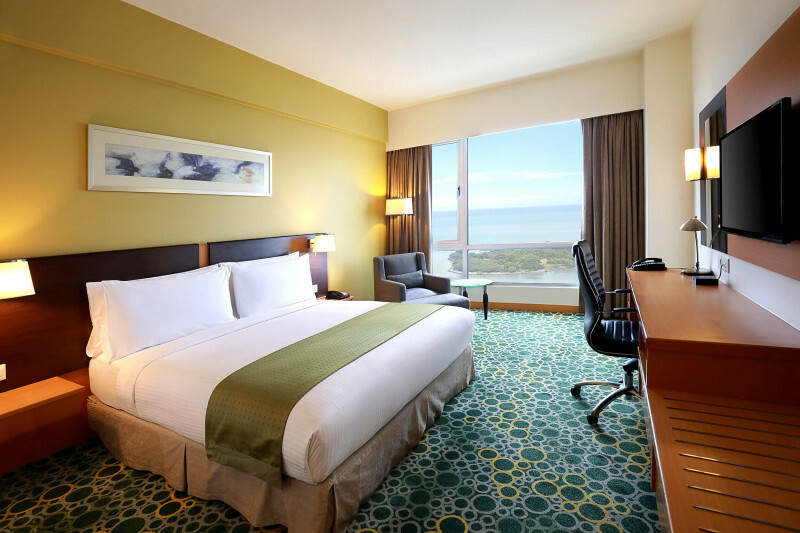 Located right next to the Straits of Melaka, staying in Holiday Inn’s spacious rooms could afford you the stunning view of the Straits and a chance to overlook the Melaka Straits Mosque—which is an attraction, by the way. Getting around was also made easy with their complimentary daily shuttle service to and from Dataran Pahlawan and Stadhuys from 10am to 10pm. Do check with them for more details when you arrive! 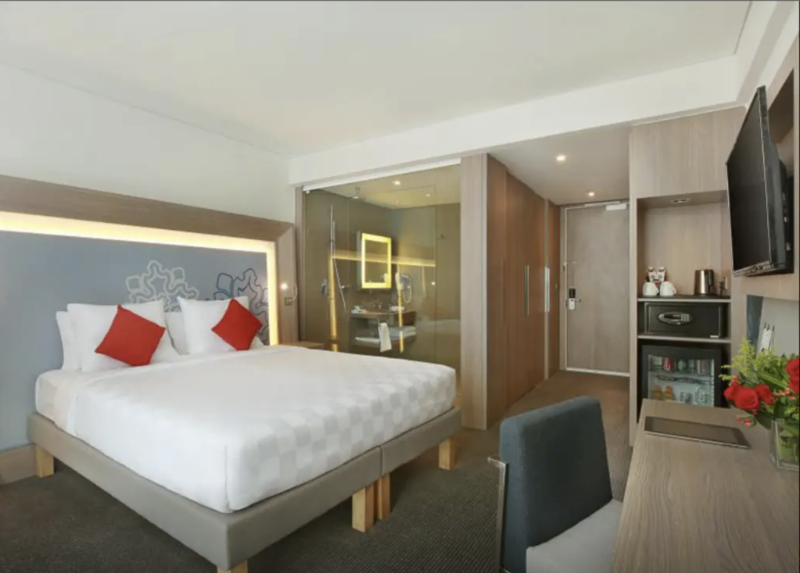 For people who love staying near food places for late night suppers or local flavoured breakfasts, Novotel is an ideal choice. Just opposite Novotel Melaka, Tiong Porridge House is a popular spot for late-night eaters for its silky smooth porridge and the mouthwatering grilled skewers selling next door. One block away, you can find the highly rated Bah Ku Teh Teo Chew (4.0 out of 5 by Google). Many famous local Nyonya restaurants are also located a block away from Novotel, such as Restoran Nyonya Makko (3.9 out of 5 by Google). Check out our detailed coverage of authentic Malacca food places before your trip, which includes those restaurants near Novotel. 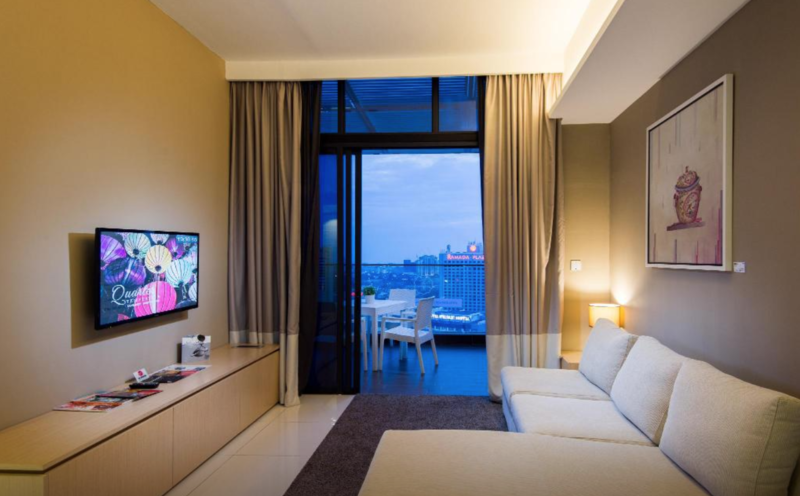 Novotel’s convenient location will make your stay in Malacca a lovely one. Although its rooms might be a bit small compared to some of the other hotels, it’s very affordable to stay here. What do people usually care about when booking hotels? Location, location, location. 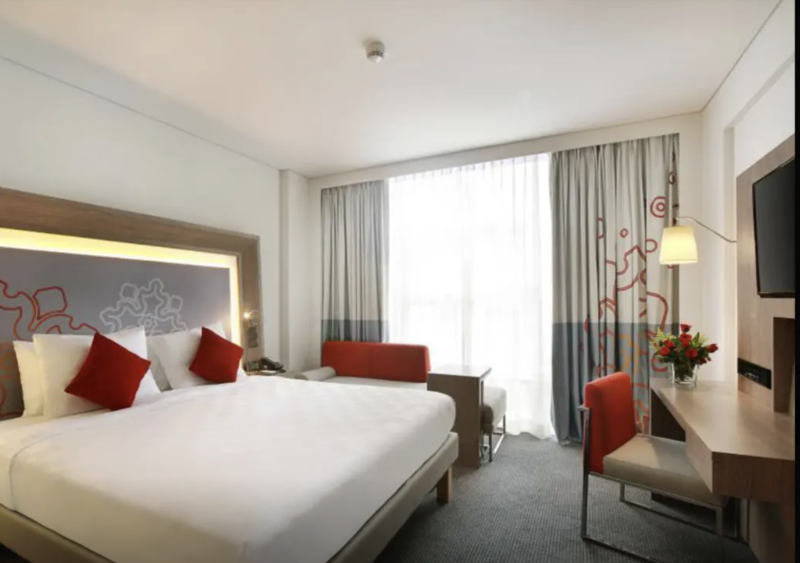 A relatively new establishment, Hatten Hotel is strategically located in the most bustling area of the city: just within a two-minute walk to Dataran Pahlawan Melaka Megamall, a four-minute walk to Mahkota Parade Shopping Centre and also within walking distance to Malacca’s various attractions. There’s also an hourly shuttle bus to Jonker Walk. Here, you can enjoy breakfast with a good variety. 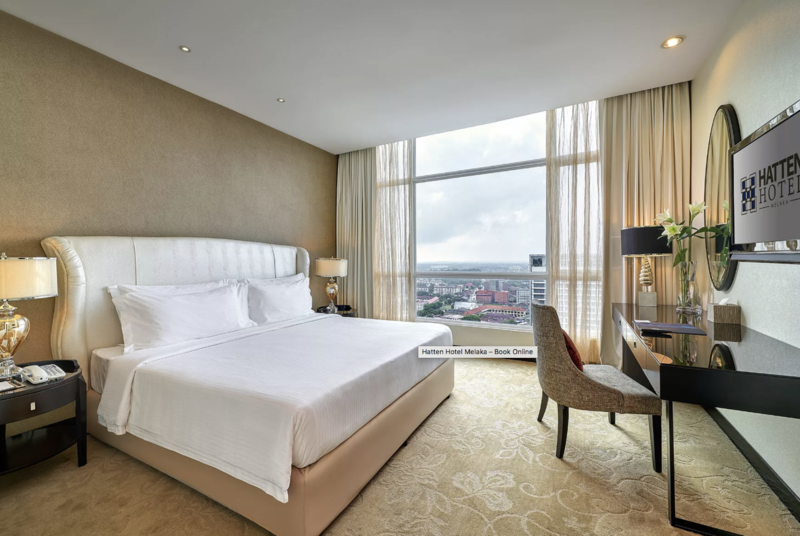 Choose Hatten for an unbeatably convenient hotel experience in Malacca with good quality rooms to boot. 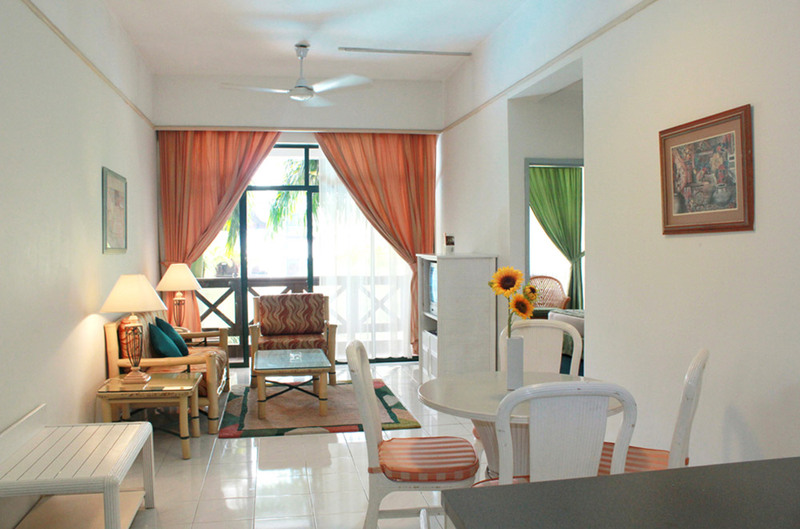 For less than S$100, you can get a spacious apartment with two rooms in the heart of Malacca. Mahkota is a great choice for big families looking to wind down during the weekend. It has great facilities—two big pools for kids, tennis court, table tennis and sauna. Mahkota is situated right opposite the malls and within walking distance to many main attractions. Jonker Walk is just a 15-minute walk away. Overall, Mahkota is a very affordable hotel. The only downside is that the hotel is a bit old. 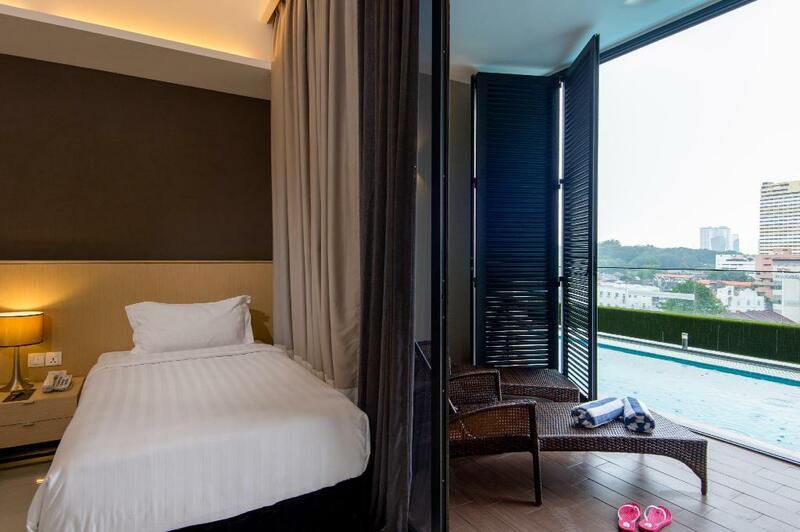 Fancy a luxury stay in Malacca to pamper yourself? 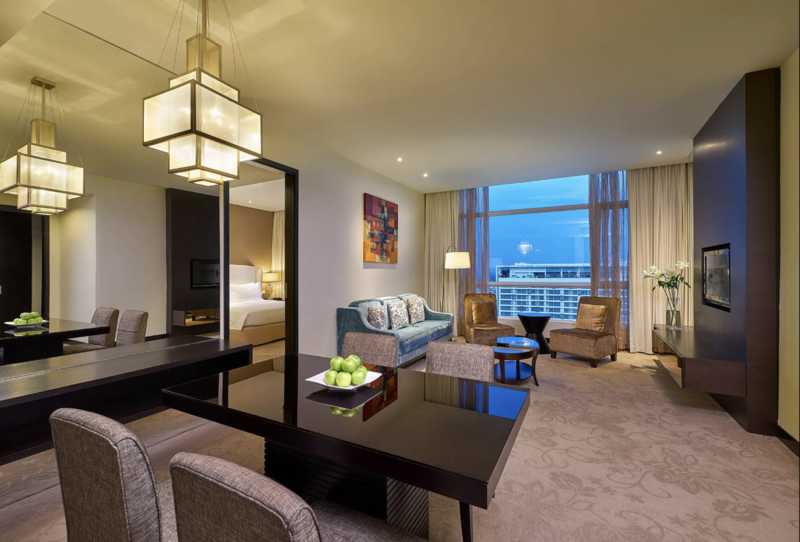 Hilton, with its modern interior decor and awesome outdoor infinity pool, may satisfy all your needs and wants. 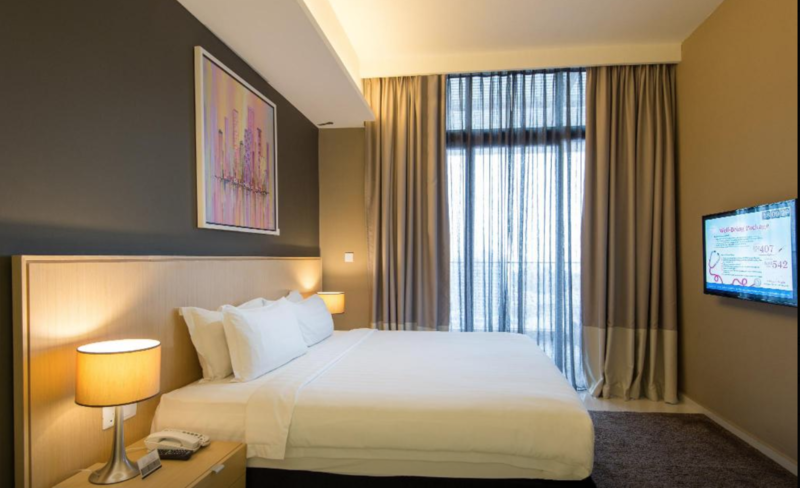 The rooms are beautiful and conveniently equipped with Nespresso machines. There is also free access to its skydeck for an elevated view of Malacca city. 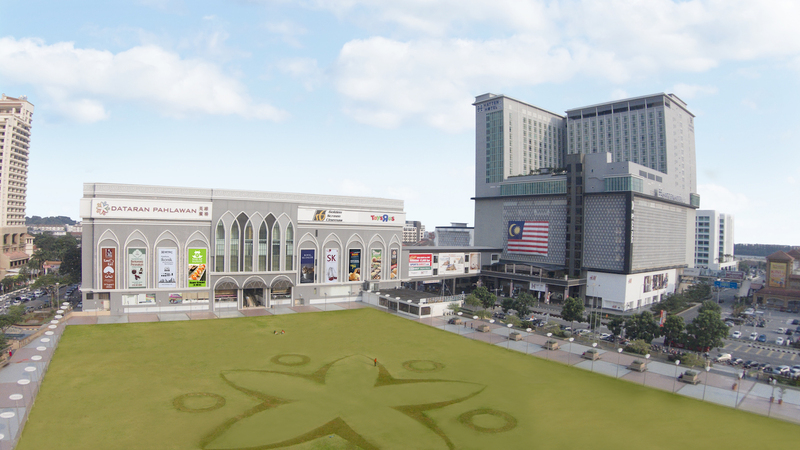 A mall is located right below the Hilton Hotel, which makes it very convenient for either a meal or shopping spree. The hotel is not far from Portuguese Settlement, where you can enjoy cheap and fresh daily catch from the Malacca Straits. Don’t miss the delicious Portuguese baked fish during your stay there!